Like peanut butter and chocolate, soccer and darts come together to form something new and wonderful. 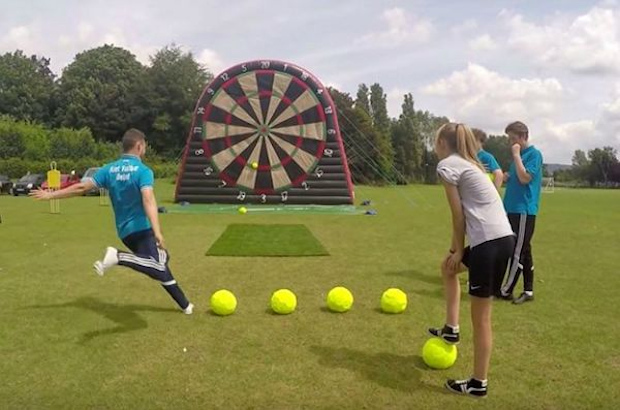 This simple, but fun game from Foot Sports UK involves kicking Velcro-covered balls at a giant dartboard. It looks like a blast, and could be great for improving your aim.